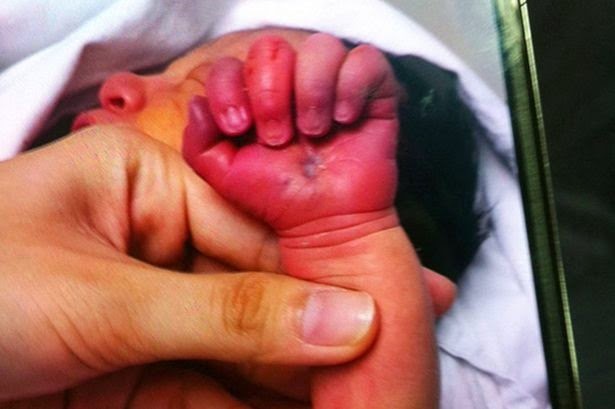 A 24 year old woman named Li Zhenghua, was discovered by a shocked nurse trying to eat her baby days after he was born at a local hospital in China. 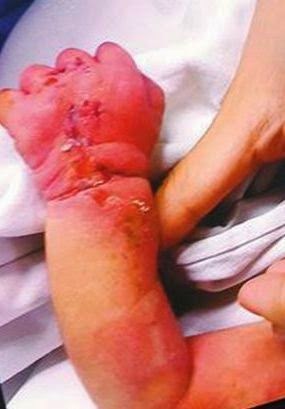 The nurse saw her eating the infant's arm and as she made to rescue the infant, the crazed mum refused to let the baby go. The nurse immediately raised an alarm and called other hospital staff who helped to rescue the baby. According to local media reports, the attack happened at a hospital in the city of Shenzhen in China’s Guangdong Province. 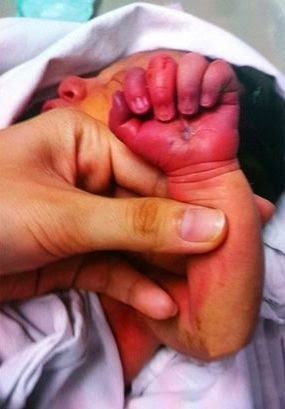 The woman had been found on the streets heavily pregnant and in labour.. The homeless woman, suspected to be mentally unstable, was taken to the hospital where she gave birth and attempted to eat her baby. "It was really shocking, the arm was badly damaged and suffered not only heavy bruising but bleeding as a result of the bite. Fortunately, doctors managed to insert something to stop her closing her teeth and then levered her jaws apart. After that they gave her a sedative and took the baby to a secure location." Authorities said the woman's mother-in-law had thrown her out on the streets despite being pregnant after she started acting mental at home. They say they are trying to find out why the new mum tried to eat her baby. 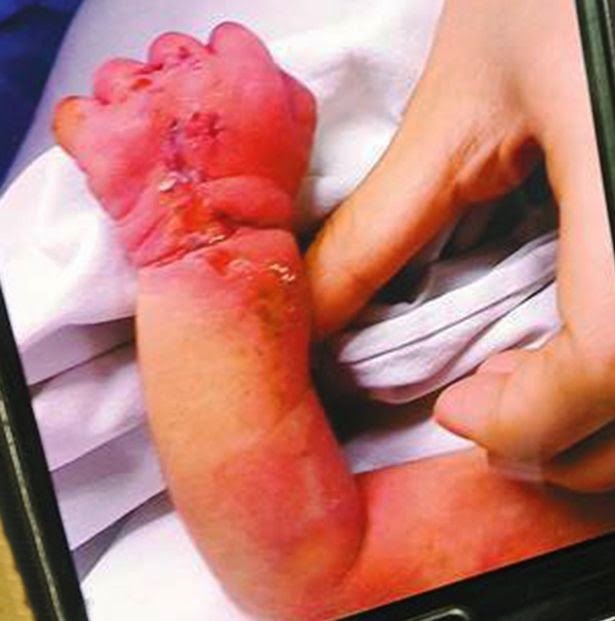 The baby has since been taken into the care of the government.